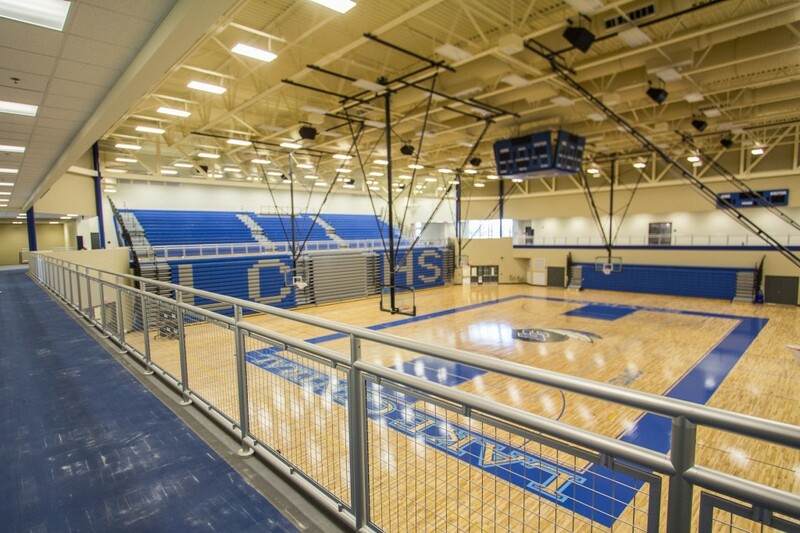 Today, I had the opportunity to take a tour of the brand new, 99% finished Lake Central High School in St. John, Indiana. 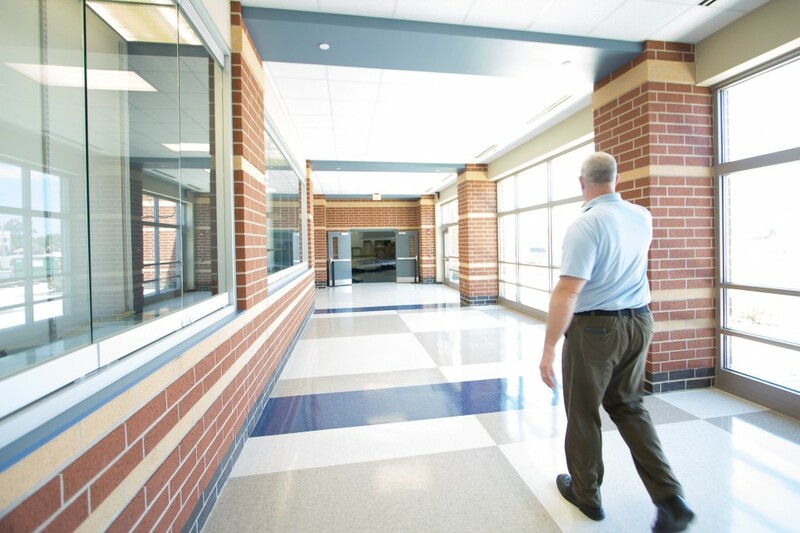 Principal Sean Begley took me throughout all of the new projects that have been completed on the interior and exterior. 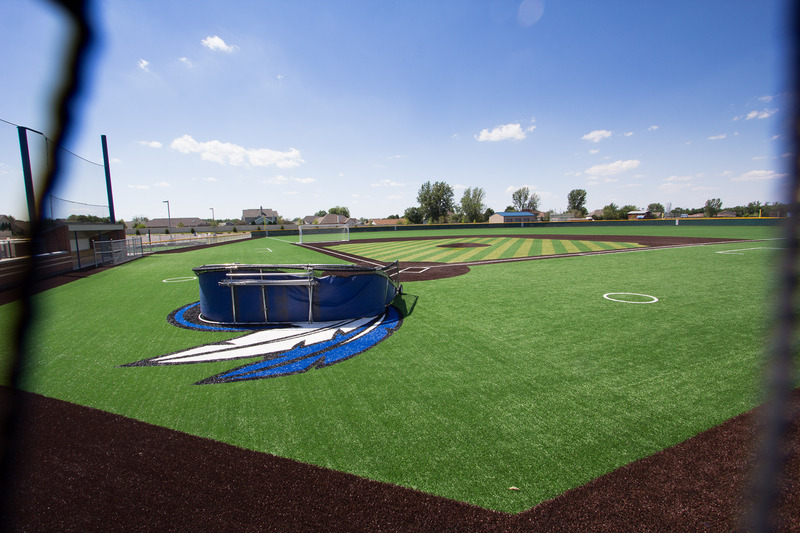 Everything from new libraries all the way to new sport fields have been upgraded. 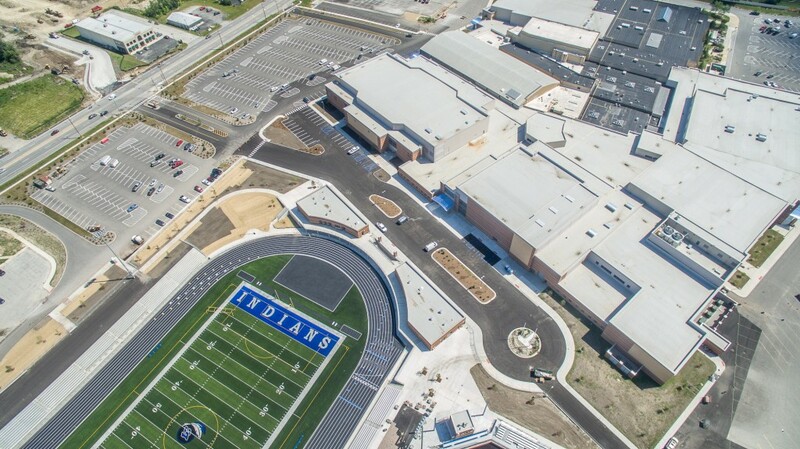 Having been a Lake Central student, I was absolutely blown away and honestly a bit sad that I missed out on all of the new things that I was seeing. 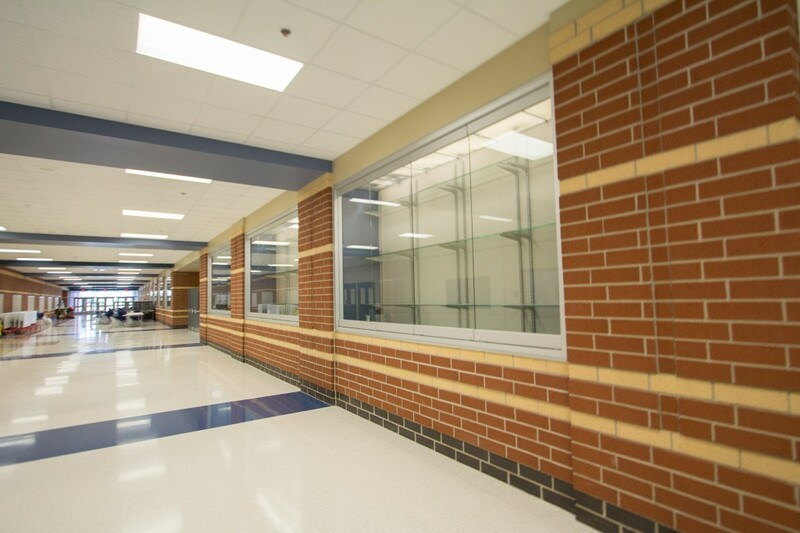 Read on to see some photos and learn more about the NEW Lake Central High School. 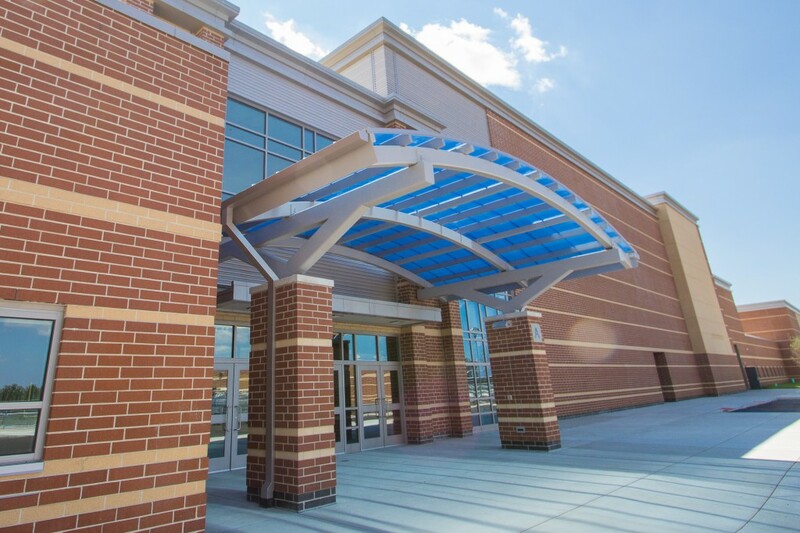 The first day of school starts on August 12th for students getting ready to enter Lake Central. 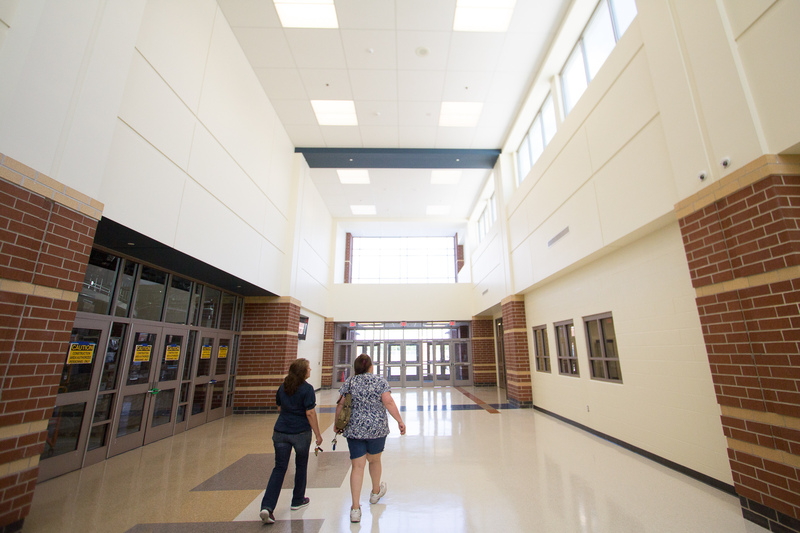 The school has been under a roughly 2-4 year complete remodel/upgrade project, the biggest to date that they have seen. 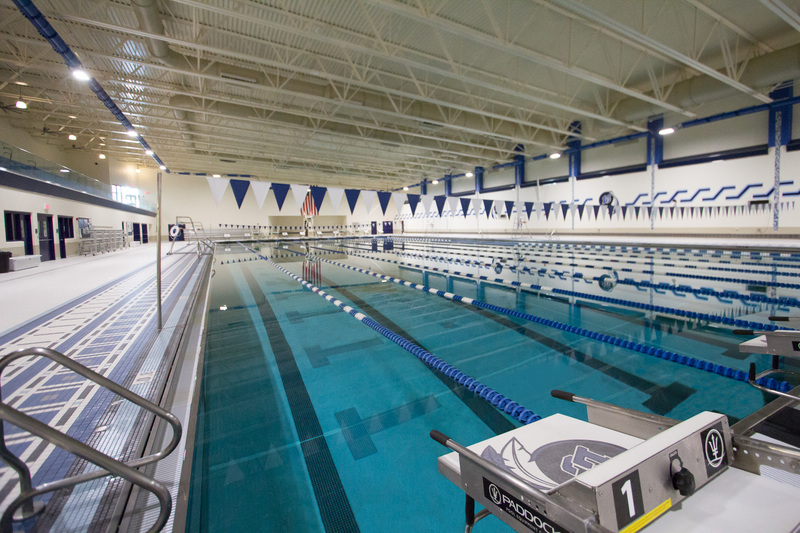 Last year we had the opportunity of seeing the new pool and 3 story classroom section as they opened up the first phase of their project. Now, we got a sneak peak at the final building areas. 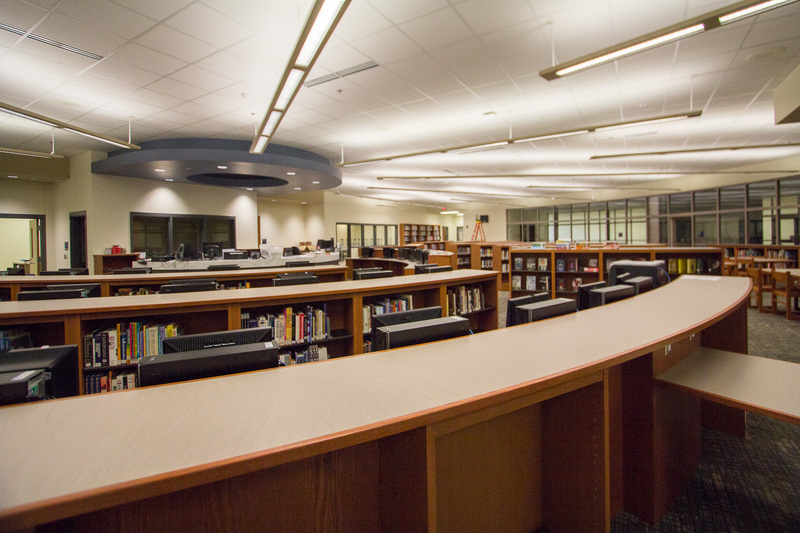 New classrooms, new sport fields, a new library, tons of new office space, new technology, and much more. 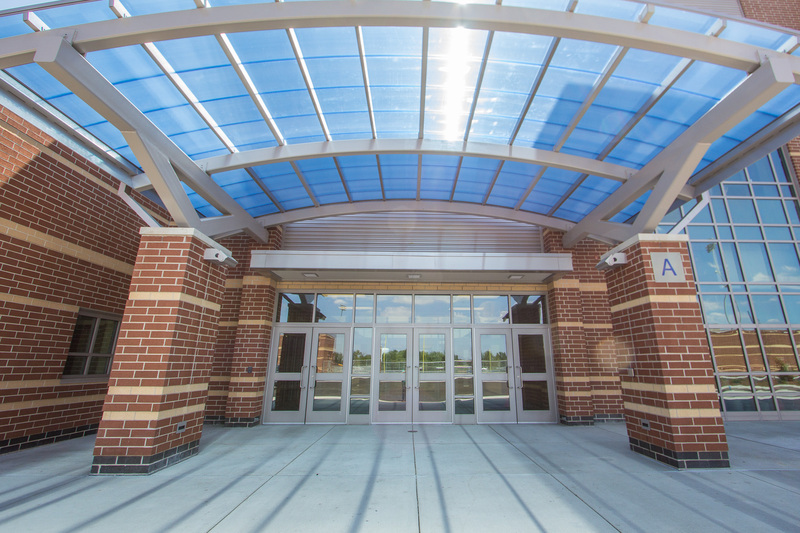 There is an all new entrance to get into the building. It is “Door A”. The road leading to it and the parking lot has been completely redesigned to make traffic flow through much more smoothly. 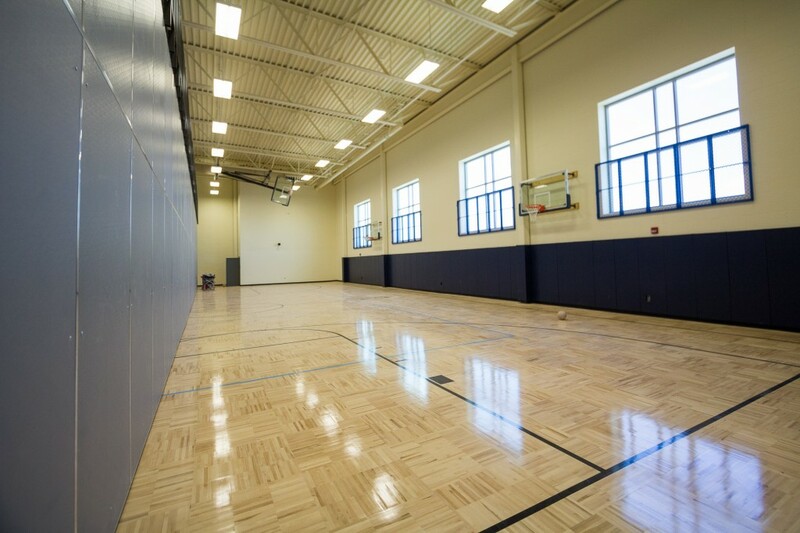 The introduction of a brand new, much larger gym, is something people have been asking about for quite some time. 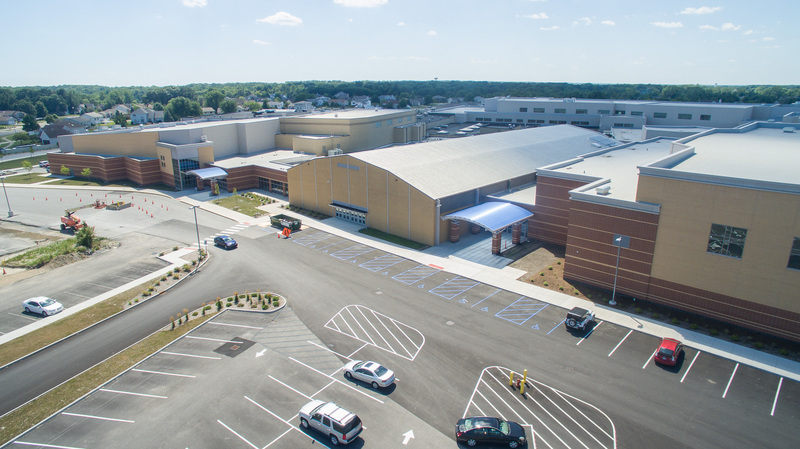 Mr. Begley pointed out that the brand new gym can hold up to 4200 people now, a huge improvement from the previous one. “We would love to make use of this new gym to potentially hold our graduation here instead of the Radisson.” They are still looking into the details of that. 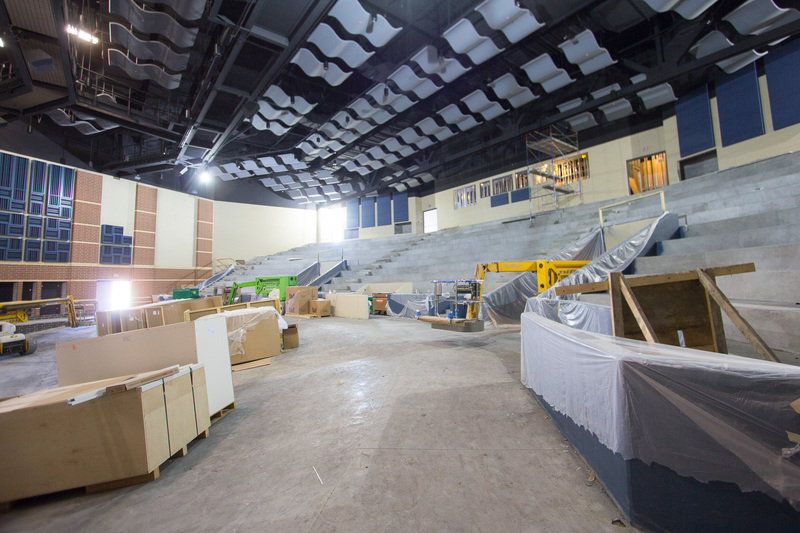 The gymnasium has two levels now. 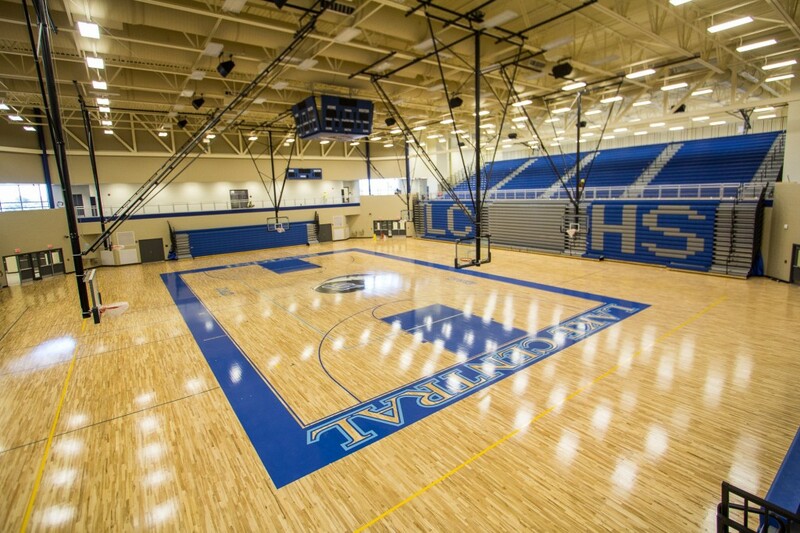 The top level has a track that goes around the entire gym. 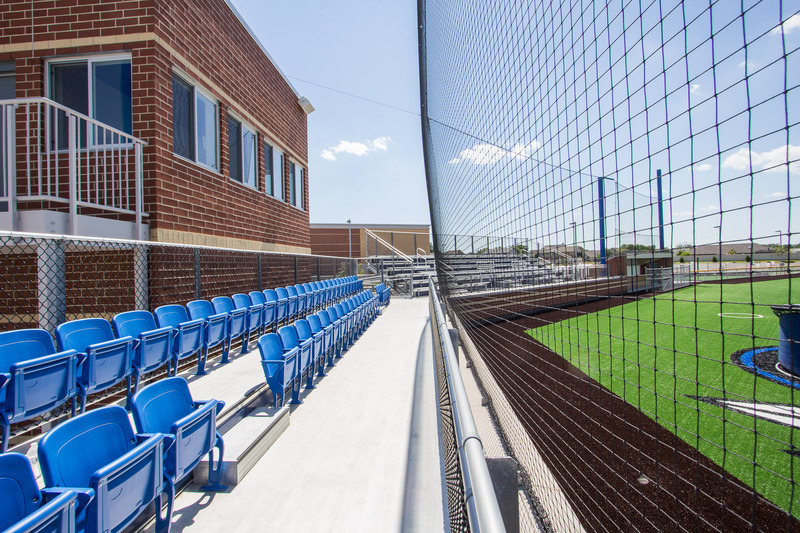 Also, it has concession stands and even an extra area behind the grandstands featured above with basketball hoops and room for potential volleyball courts. “We take great pride in our new library. 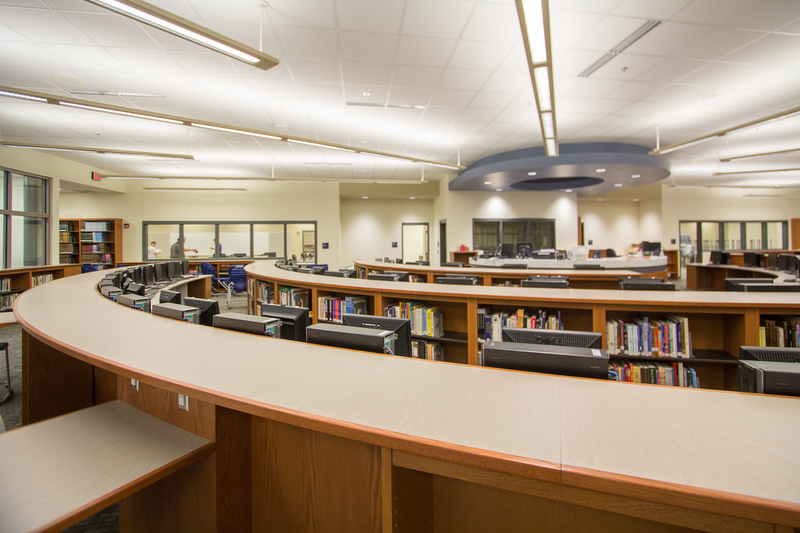 It will have iPads on stands which will be used for many different purposes, all new technology, and offers a great new environment for students to come read, study, or get help on assignments.” said Mr. Begley. 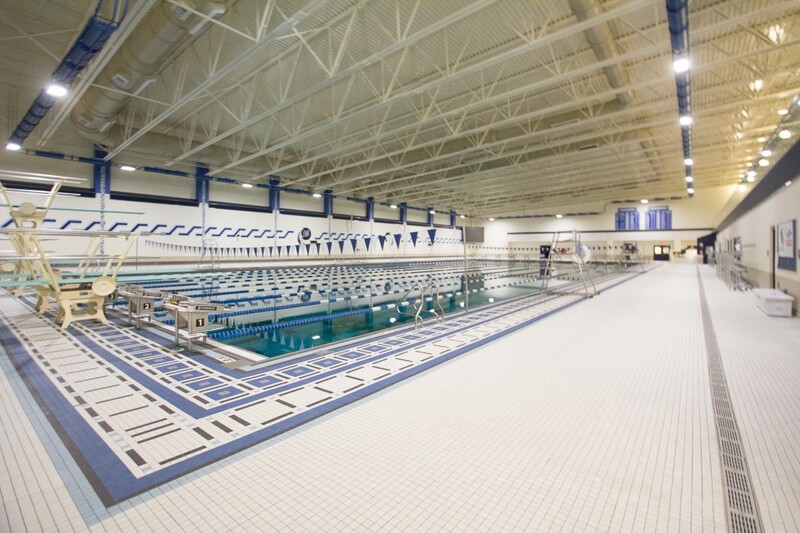 For sports, Lake Central put a strong focus into upgrading what they had. The old Football field was always criticized for facing the wrong way and being behind times, being that it was still grass. 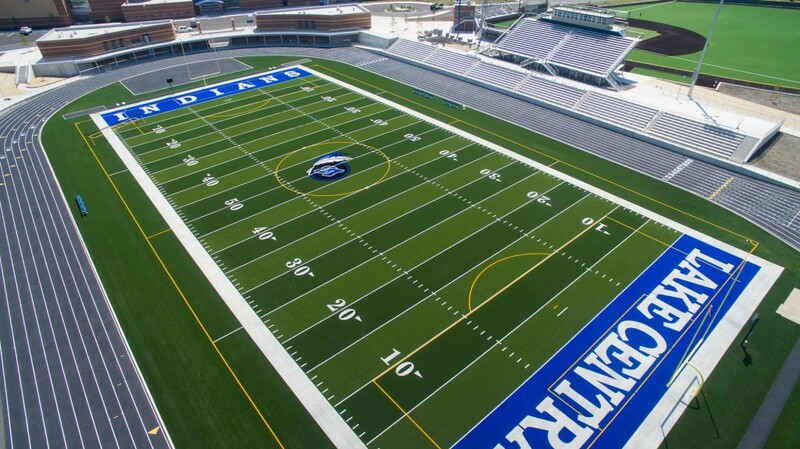 The upgrade changed the direction of the football field so the sun won’t give certain teams advantages/disadvantages during Friday night games, and also it is now made with AstroTurf. That means no more having to mow the lawn and worry about dead grass. It also gives players a better ground to run on. 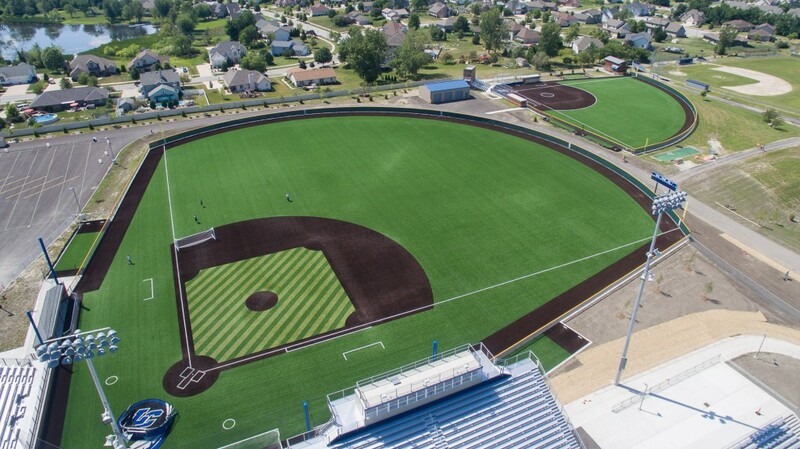 The new baseball fields have also kicked out the grass and went with AstroTurf as well. From the photos below, you can see how great it all looks. It is borderline unrealistic, but I promise these photos were not photoshopped! 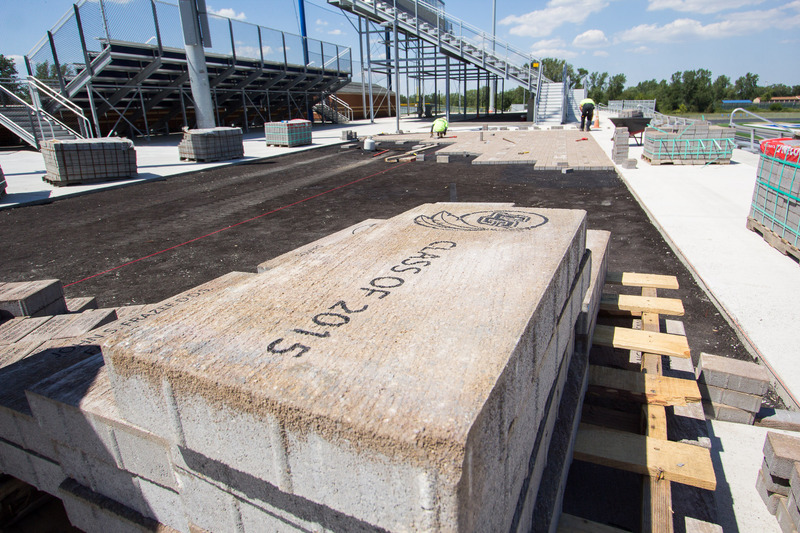 Near the home team bleachers at the Football field, we got to see the pavers laying down custom engraved stones, some are still available (information on how to get one coming soon). 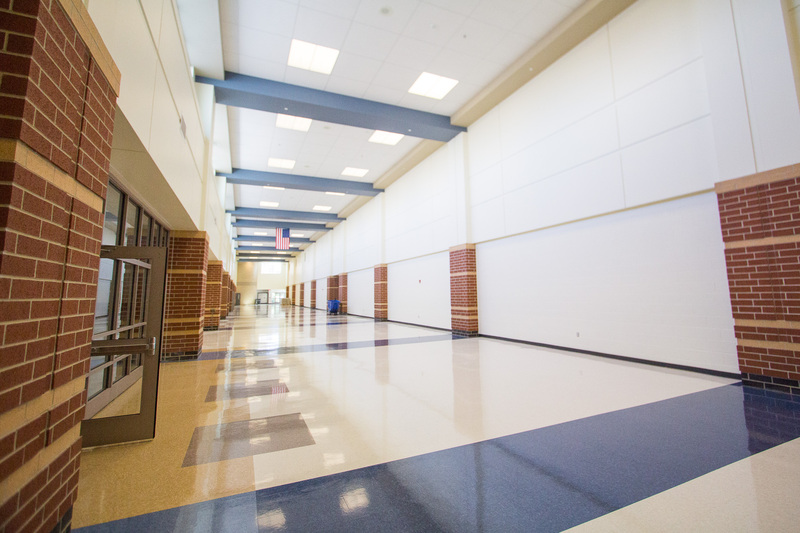 Anyone who visited or attended the old Lake Central can attest that all of the hallways were just not big enough for the amount of students that they school had grown into. The new ones on the other hand, and BIG. There is enough space to drive two cars through them and still have room to walk on the sides of them. The new school looks fantastic. 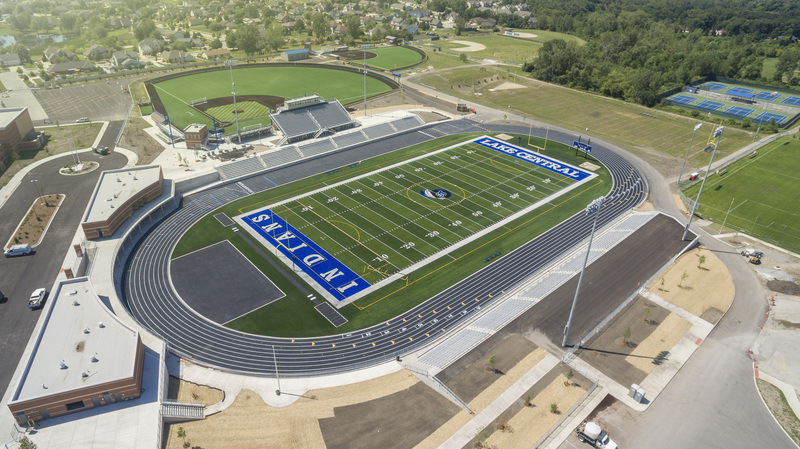 They did a great job of making it look modern while at the same time actually improving everything from technology to classroom space and design all the way to sport fields. I am definitely a bit sad I graduated a bit before I had the chance to experience all of this. Being able to take advantage of all of the new things would be a 15-16 year old dream of mine. 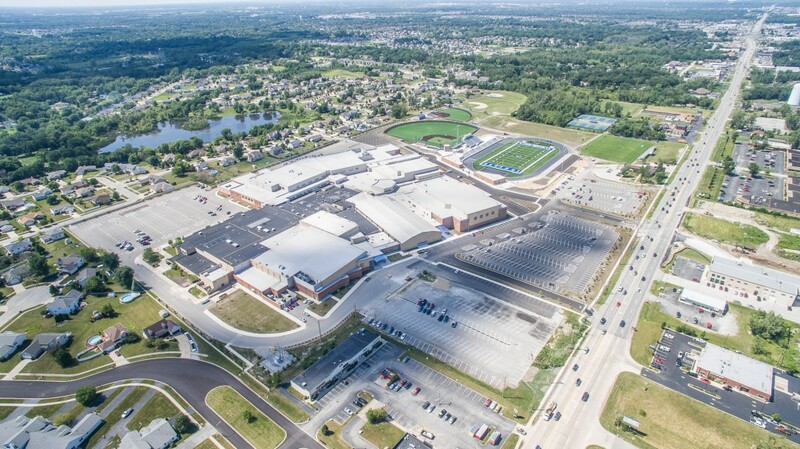 Lake Central has put the effort into making sure every student now has the best opportunities of learning and focusing on growing themselves while they use the latest tech and equipment. 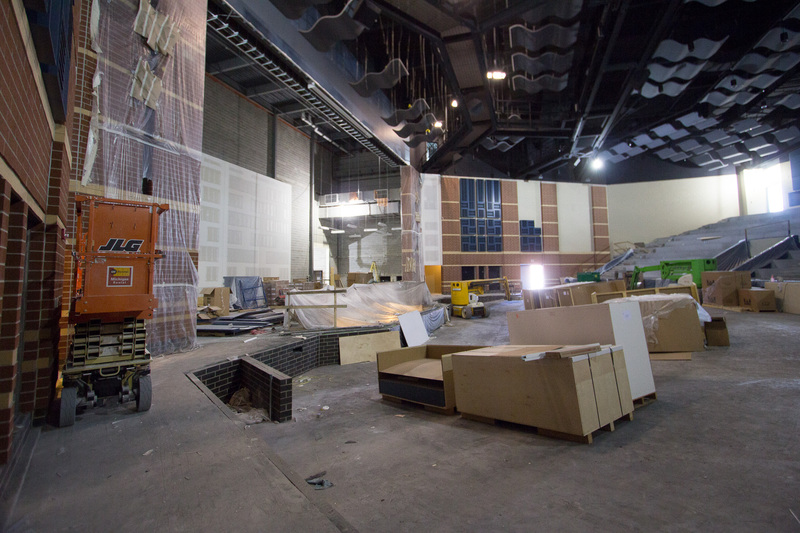 The only thing that will not be ready for the first day of school on August 12th is the brand new Theatre. It is, like the rest of the remodel, absolutely huge. 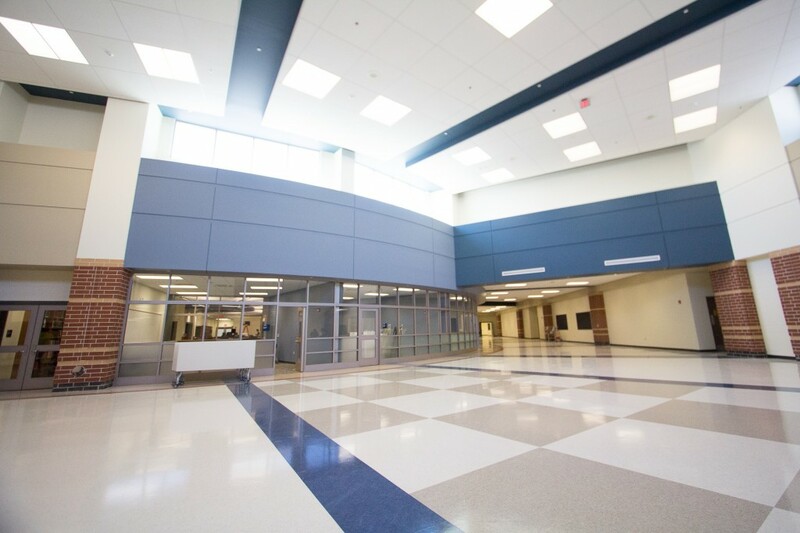 They put a ton of effort into making sure it was done right with a huge focus on acoustics, layout, and seating. Sean Begley estimates it will be ready to be in full use by the end of the first semester or close to then. 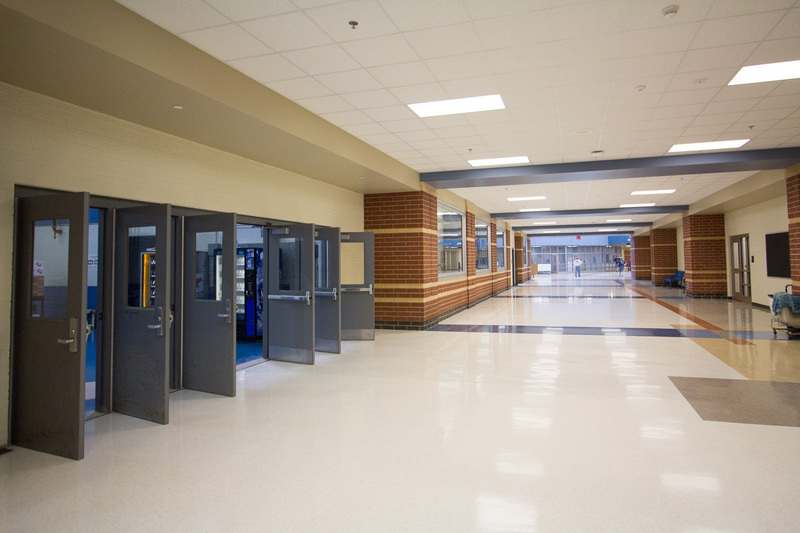 We hope everyone is just as excited as we are to see how well the improvements were done to the school. 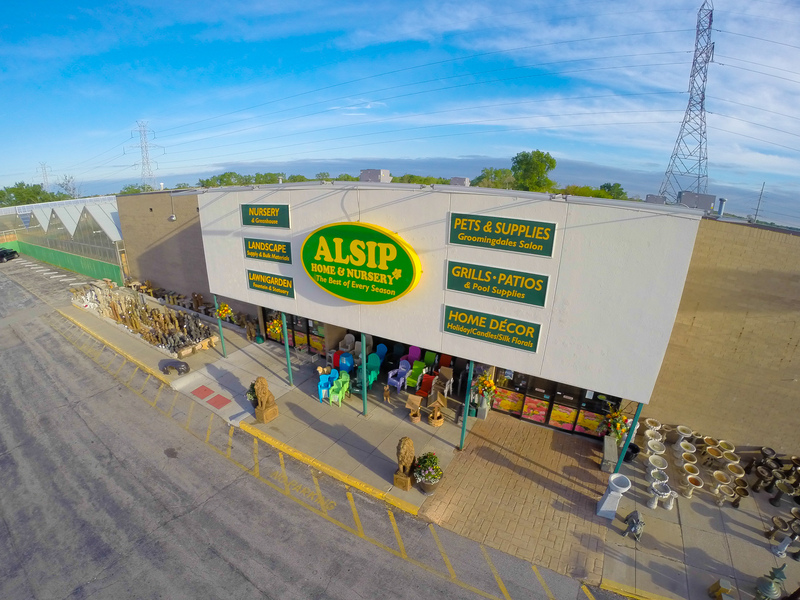 It is not only benefitial to the kids getting ready to go into it, but it is also great for Northwest Indiana and the towns that are apart of the school districts. 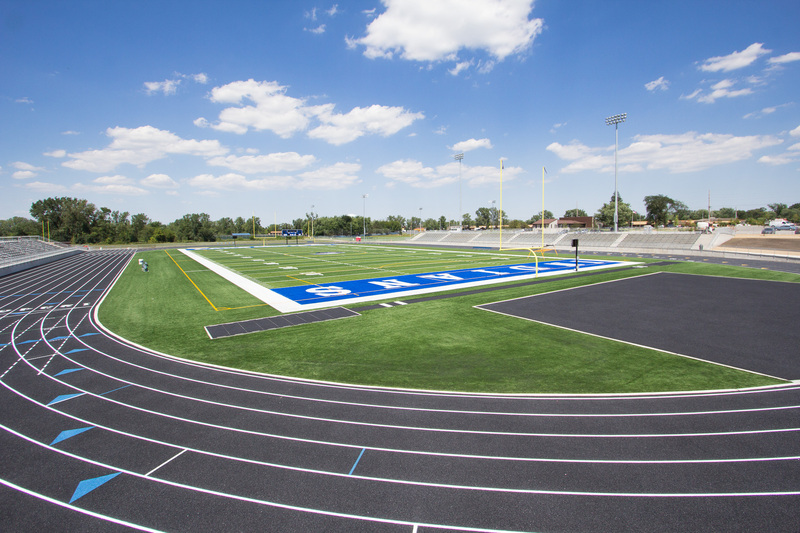 Lake Central has truly set the bar high and made itself stand out.  This will be great for bringing in new businesses and also for helping bring in more attention to the school for students as they begin their searches for college.